It’s an incredible program that teaches respect, discipline, confidence, defense skills, etc etc!! Ms. Berry & the entire staff are Awesome, my son enjoys it more than any other sport he’s ever played! We love our Belief family! It is truly a family atmosphere. I also love the life skills that are taught and the wonderful role models that the older students and teachers provide for the lower belts and Tigers. Amazing and caring family oriented place that go above and beyond to help. My son has been with ATA for over three years now. Their program has prepared him to protect himself from danger. Also, he has learned discipline, respect, and how to be a leader. His behavior at school has been stellar. Thank you ATA! My daughter loves going to class! The instructors and families are so great and we are so glad that we found this place! The community and fellowship at belief martial arts has been great for my two sons. They are excited to become black belt leaders. This is the place to join! Excellent program no doubt for all seeking quality training, teaching of honesty, self esteem, respect, discipline and communication for your children. The involvement of the staff is superb and foremost the owners involvement and passion makes this the best place ever! I highly recommend this place to everyone. A Glimpse into our awesome academy! 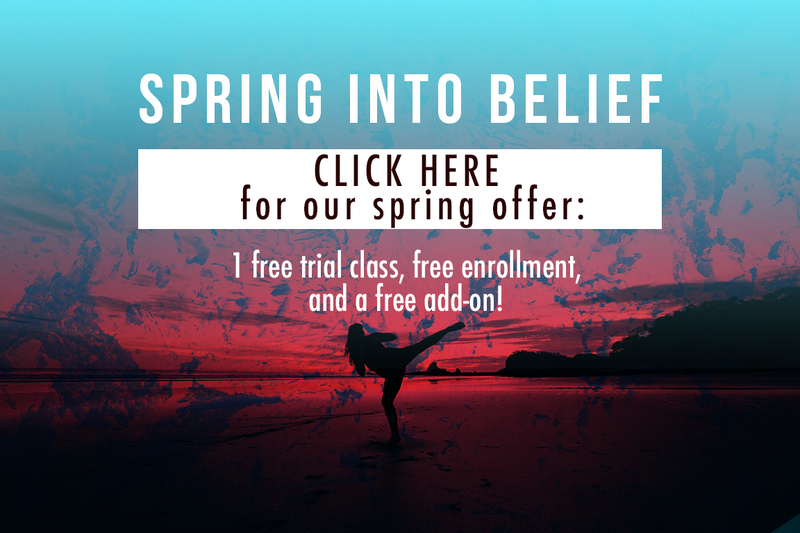 Call us anytime to set up a free class! Ages 3 and up. Weve been changing America one Black Belt at a time since 1985. Powered by ATA Martial Arts. We offer Tiger classes ages 3-6, Karate for kid classes ages 6-13, and adult & teen self defense classes powered by Krav Fitness.